Gabby Logan introduces live coverage of the Diamond League meeting at the King Baudouin Stadium in Brussels, the finale to the 14-leg series which began in Doha in May. Gabby Logan introduces live coverage of the last Diamond League meeting of the season from the King Baudouin Stadium in Brussels. It is the finale to the 14-leg series which began in Doha in May and has since visited Shanghai, New York and Rome. With double points on offer in Belgium, many of the world's top athletes will be present as they attempt to win the lucrative diamond race for their event. 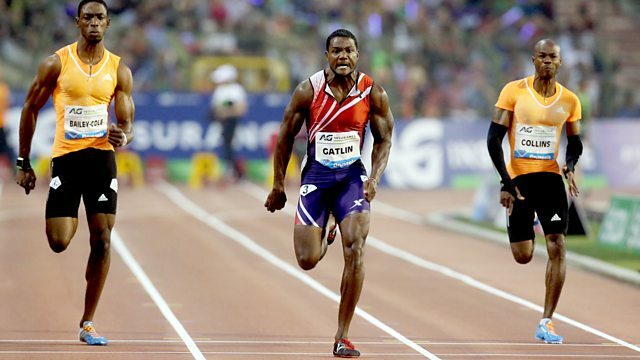 The line-up in the 100m looks particularly strong, with big names such as Justin Gatlin, Tyson Gay and Kim Collins all set to compete. For all the latest news, results and fixtures.